Every one to two months I love to give my digestive system a rest and do a one day juice fast. Juicing is one of the most effective ways to nourish the body with immediate freshness since the vitamins and minerals from raw fruits and vegetables are absorbed directly into the bloodstream. Nutrients in freshly pressed juices are so easily digested, nutrients and living enzymes in vegetable juice can be flooded through the body in just 10-15 minutes. 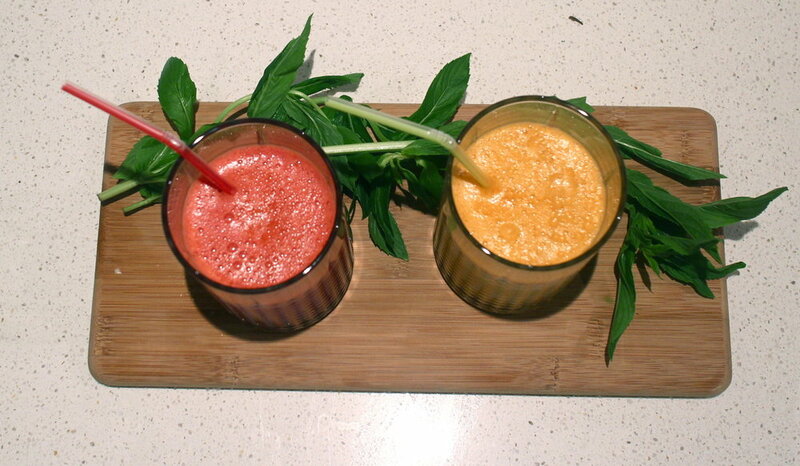 Vegetables juices using raw vegetables are extremely alkaline for our body. It is highly beneficial to ensure that your body does not become over acidic as over-acidity is the common theme and cause of almost all conditions of ill health. 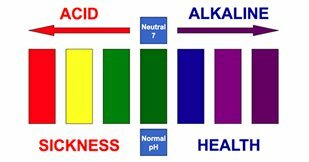 An alkaline body can resist and fight disease better than one that is acidic. Just one glass of vegetable juice can revitalize the body and raise your PH levels to be alkaline once again. As I have been doing juice fasts for quite a few years I know what works for my body and helps me feel best. I had been having quite a few problems with my skin and over the past few weeks and started drinking a vegetable juice at night as well as my morning green smoothie and noticed a huge improvement with my skin. This is not to say that as it has worked for me it will work for you but I highly recommend giving juice fasting a go. If you are a beginning definitely just start with the one day to see how you go and if you find it easy then move on to 3 days, 5 days or even a week. Organic produce is key, remember you are trying to get nutrients into your body so fruit and vegetables sprayed with chemicals and pesticides are not the best. The fast is supposed to help eliminate toxins, not add new ones. However, we know that it can be hard to obtain organic so if you can not get your hands on any it’s not the end of the world. It is best to drink your juice straight away. The juice will really only retain its maximum live nutritional properties for about half an hour, after which point the juice starts to oxidize and disintegrate. I am lucky enough to have three juice bars right next to my work so was able to do my fast during a weekday. If you do not have juice bars near by I would recommend doing the fast during the weekend when you are at home. Consider using more vegetables instead of fruit to avoid over consumption of sugar. Spinach, Kale, Silverbeet, Bok Choy, Broccoli, and dark green leafy vegetables are the best and should be the base of any juice. 70% vegetables and 30% fruit is around the right balance. Make sure to include light greens such as celery, cos lettuce, cucumber, zucchini. These are all reasonably cheap, low in fructose and are not over powering in flavour. It is important to not do a lot of exercise on the day of your juice fast. Take it easy. I did mine on a Friday at work as I was sitting down and being busy helps distract your mind from any hunger. We recommend checking with your GP before embarking on a one day juice fast, especially if you are on medication. Hydration - keep yourself full by also drinking lots of water. This helps to flush toxins out and will stop you from getting headaches. Below is what I drank on the day of my juice fast and can be used as a guide if you decide to do your own. Please note that the times put are when I start drinking the liquid but it does not all have to be drunk at once, just before you start on the next one. 6:00pm: 1 litre beetroot, carrot, cos lettuce, lemon, spinach juice. In total I drank just under 5 litres of liquid for the day – it helped me stay full. When I first started juice fasting I would often feel sick and realized it was because I was not drinking enough liquid during the day. Stick with 3 vegetable juices and then add on water/coconut water in between. The day after your juice fast it is best to start the day with another vegetable juice or smoothie and something light for breakfast such as a fruit salad, omelet or oats. You will find yourself not overly hungry so keep all meals light and you may even like to keep juicing if you are feeling okay. You will notice higher energy levels and a great feeling of satisfaction knowing that you have given your body so much nourishment. Like I said earlier if a juice fast is something you are interested in start out with a one day fast and then move yourself to three days. A three day cleanse is when your body really starts to eliminate toxins and the overall health benefits are fantastic. If you haven't already I highly recommend you watch the documentary Fat, Sick and Nearly Dead, it's very inspiring and will give you an insight into what a lengthy juice fast can do to you.